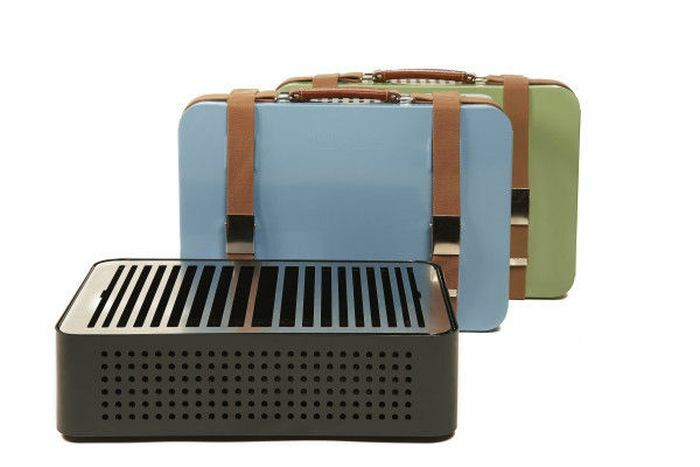 Spanish contemporary furniture & hardware store RS Barcelona has created a compact suitcase-shaped BBQ grill, which is perfect for travelers. 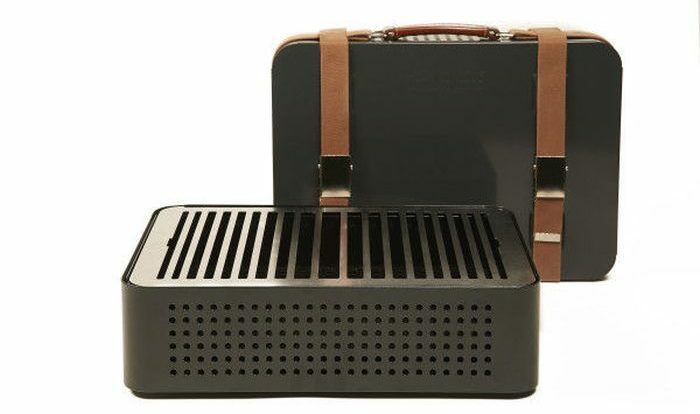 Dubbed Mon Oncle, this portable grill has been designed to bring vintage style to picnics and barbecues – no matter you are at your home backyard or in the middle of the woods in a camp. 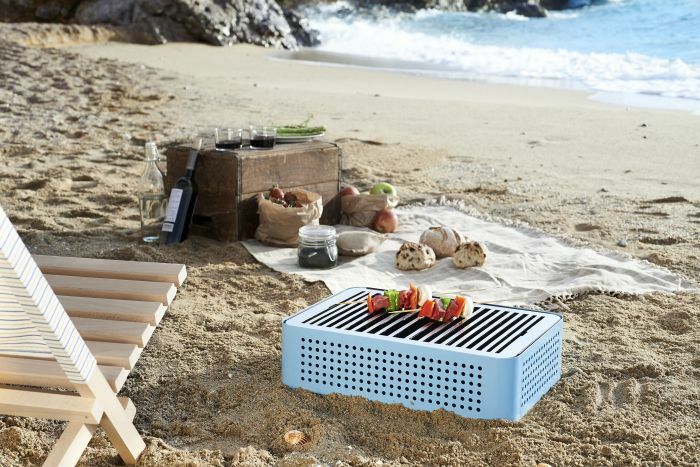 This compact grill is very easy to set up into something more useful while being aesthetically pleasing at the same time. 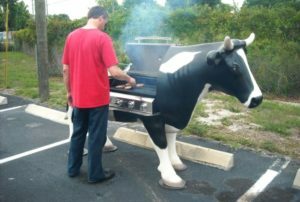 The grill features straps and a cover to pack it up easily and transport it to any location where you’re traveling. It appears like a stylish suitcase when closed, and the fabric straps and leather handle adds more charm to its aesthetic appearance. 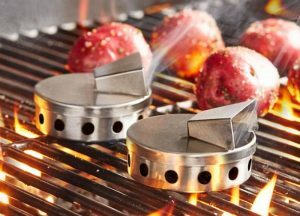 There are also holes on the sides that stylish accent to the design, meanwhile prevent overheating when you’re barbecuing or grilling on its surface. 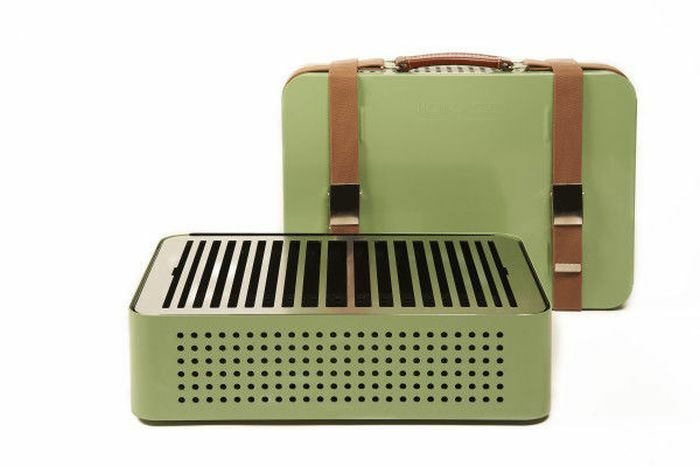 Mon Oncle is an ideal grilling unit for terrace, garden, backyard, patio, balcony, or a picnic in a park. However, it is recommended to use coconut shell ecological charcoal for making the most out of its properties. 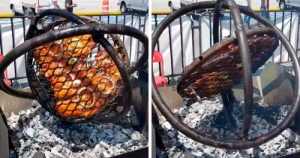 There won’t be any flame, as the grill retains heat and produces very little to negligible smoke. 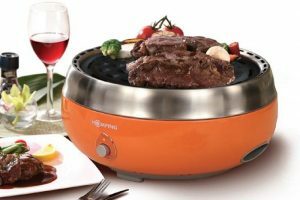 The best thing is that this portable grill comes in four different color options – green, grey, cream, or black. 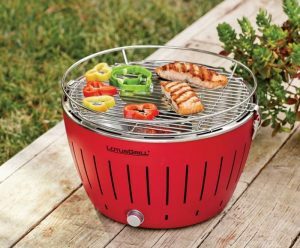 So, you can pick any color of your choice and carry your grill like a stylish handbag to any place you travel. You can purchase it online on Wayfair for US $390.